Understanding Profile Activity, where to find it in your athletes' profiles, and what to do with it. 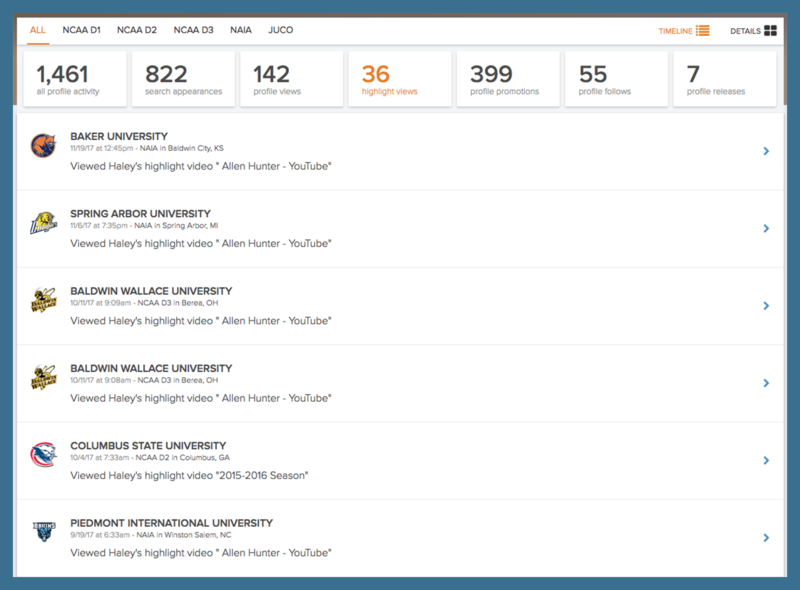 Different types of Profile Activity provide unique insight into what colleges are looking for, their levels of interest and how closely they are evaluating athletes. 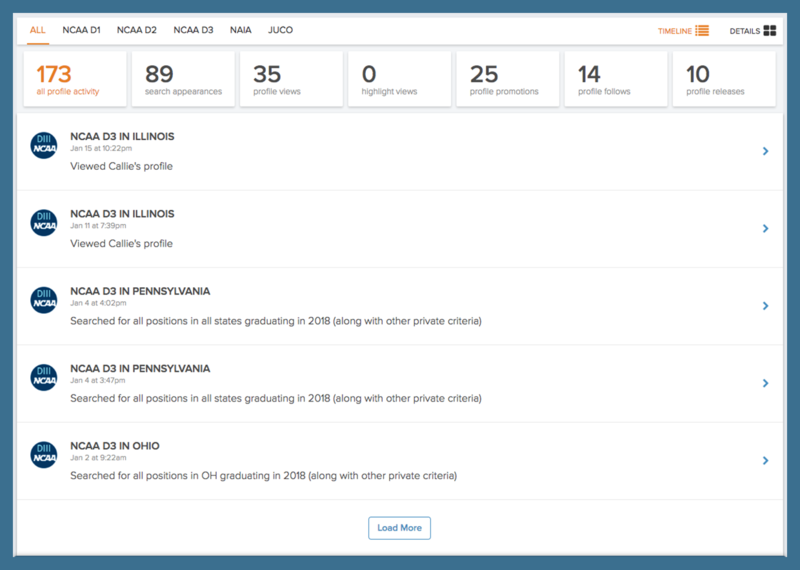 When athletes are on the free plan, both you and them can see when activity occurs but aren't able to see exactly which colleges are engaging with their profiles. When your athletes are upgraded to FieldLevel Premium, both you and them can view the colleges causing the activity. You can see your athletes' activity from your Dashboard. You can also click into your athletes' profiles to see more detailed information regarding their Profile Activity. It's important that your athletes continue to update their profiles throughout the recruiting process: Build and Maintain Their Profiles. 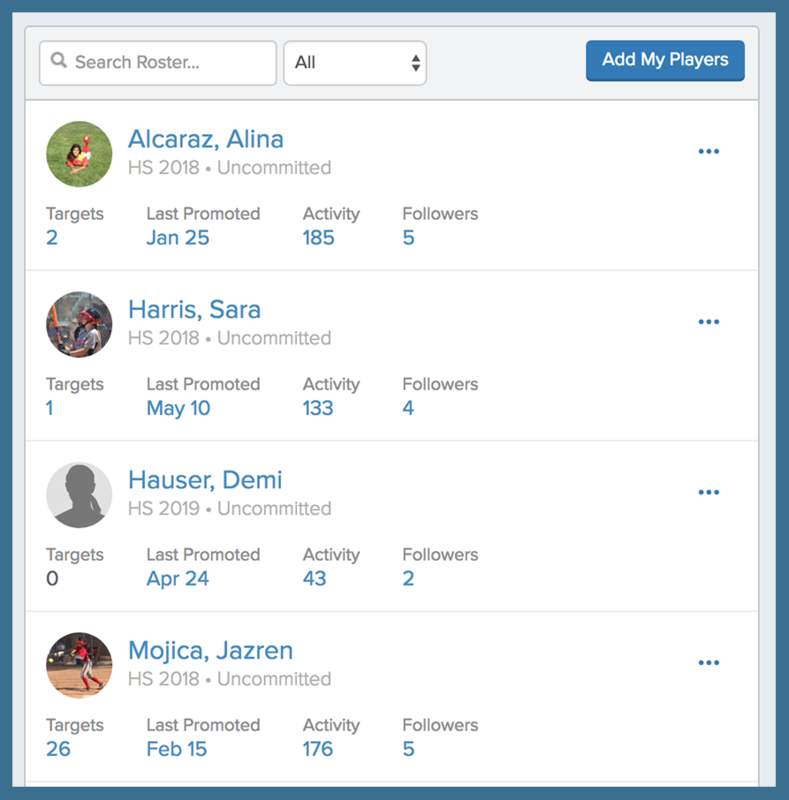 As a coach, you also have access to each of your athletes' profiles and can make updates: Edit Your Athletes' Profiles. 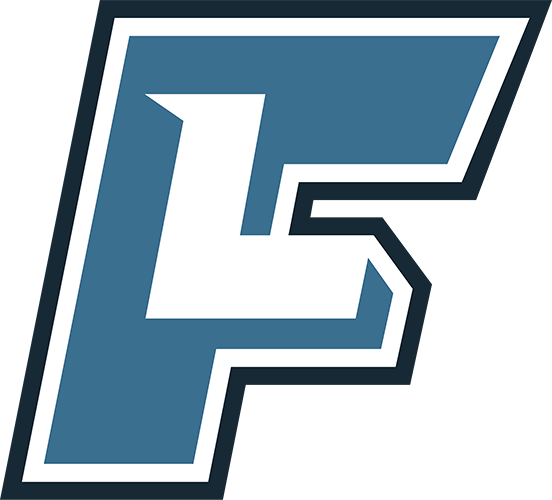 To see the benefits of FieldLevel Premium, click here: FieldLevel Premium.